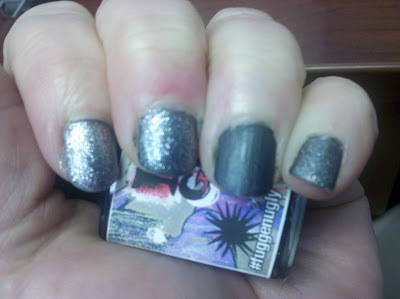 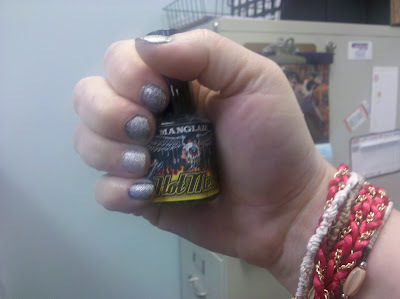 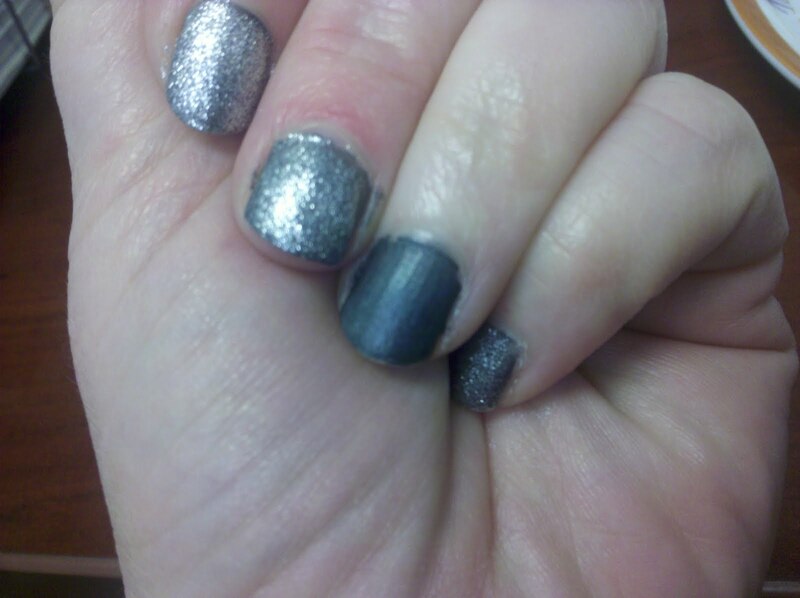 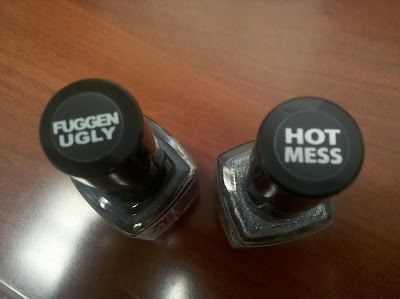 Fuggen Ugly is a dark grey matte polish and you will definitely need two coats to really get the full effect of the shimmer of this awesome matte polish. 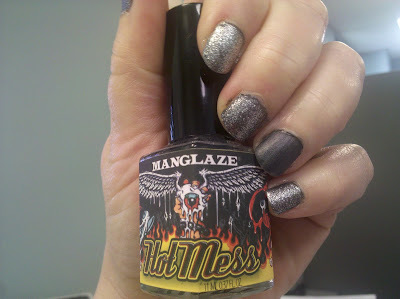 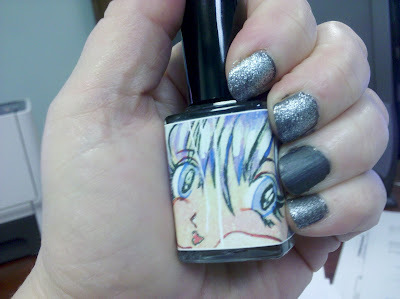 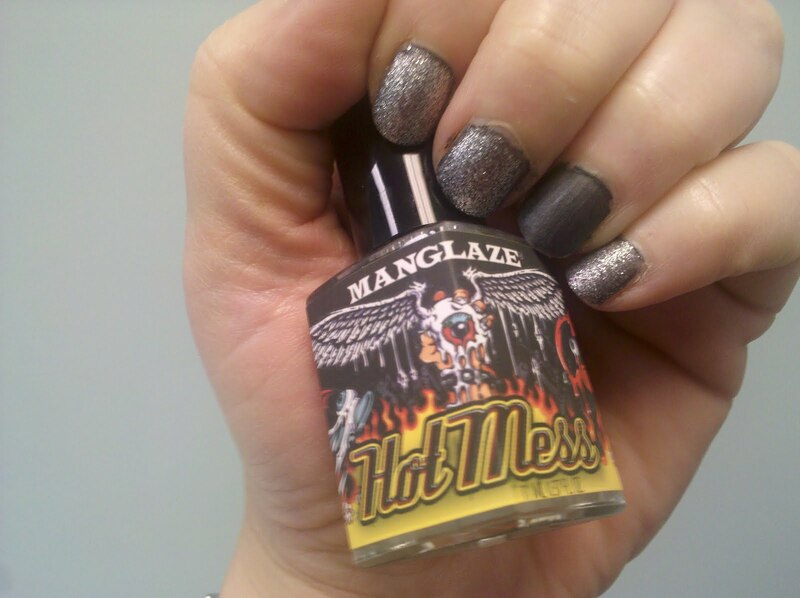 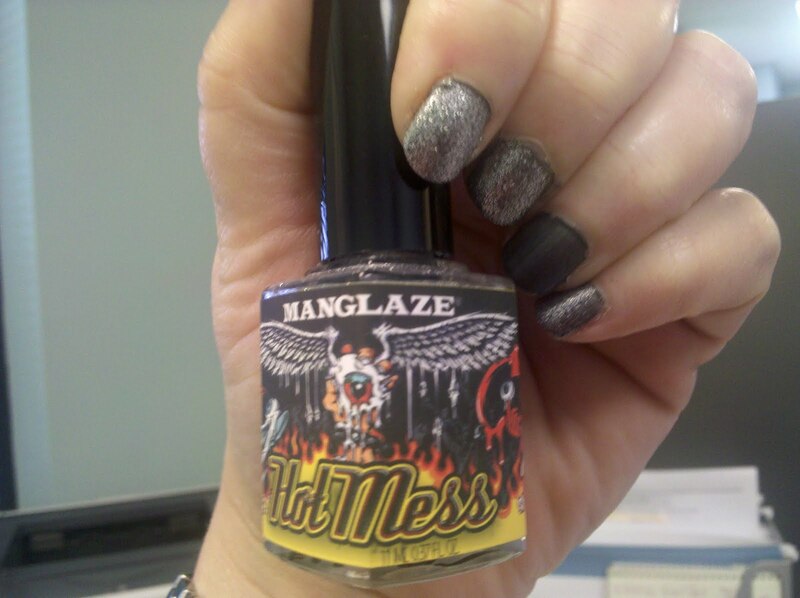 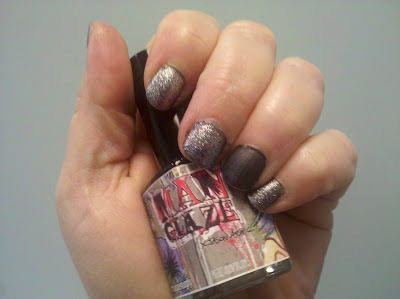 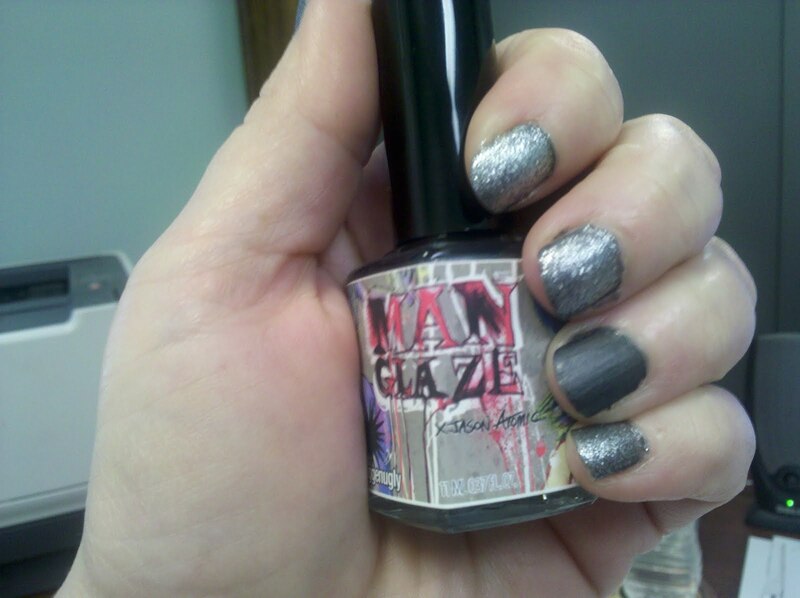 Hot Mess is a shockingly silver glittery mess of shiny bling that dries to a matte finish. 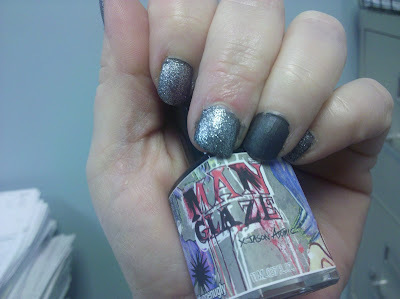 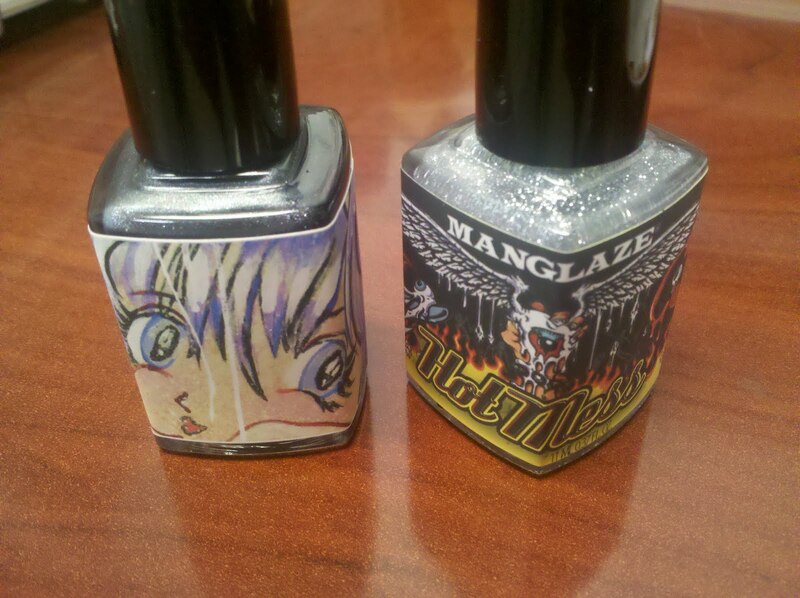 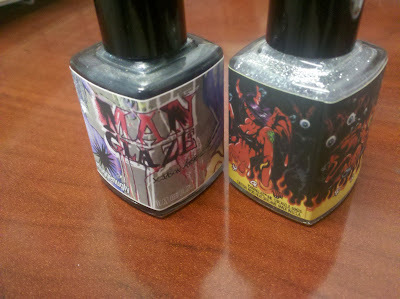 You will definitely want to add a top coat to really rock the shine with this polish! Oh, and you won't find any gritty feel here either!